Tom Weil, Air Force veteran and city manager for California City. Tom Weil, Air Force veteran and city manager for California City, has been part of the Air Force Materiel Command Community Liaison Program for just over two years. Weil’s position as chief administrator of a city with 14,000 residents makes him an ideal candidate for Kern County’s community liaison slot in the program. 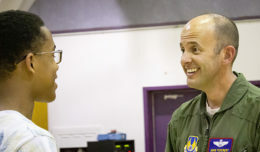 As a liaison, Weil is invited to meet with the 412th Test Wing commander several times a year, and when possible, with the AFMC command staff at Wright-Patterson Air Force Base, Ohio. 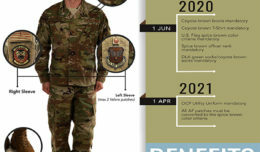 Both Air Force representatives and community liaisons are encouraged to exchange information and ideas about what’s happening in their respective areas. Weil can take what he learns back to his community in an effort to maintain positive relationships between Edwards and Cal City. When he’s not managing the city, Weil actively participates in the California City Lions Club and the Antelope Valley Board of Trade. He has been a citizen of California City for the past 30 years. 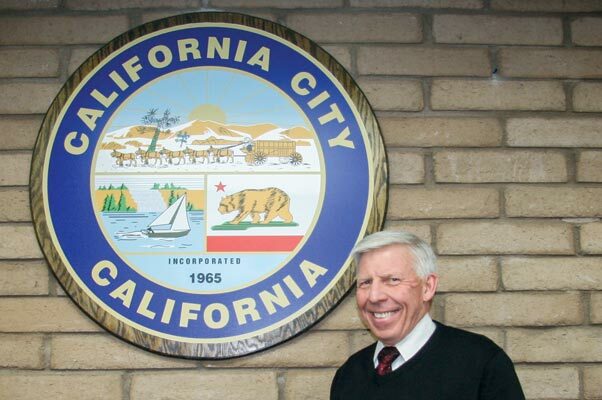 He is regularly involved in the city council, Cal City Economic Development Corporation, East Kern Economic Alliance, Kern Economic Development Corporation and Greater Antelope Valley Economic Alliance. “I feel the relationship [with AFMC] has led to creating partnerships between our communities and Edwards as we continue to work together both from a resources/mutual aid to the daily welfare of the men and women, military and civilian who live within our communities,” said Weil. Prior to his selection as city manager, Weil served as the business operations director for the Mojave Air and Space Port and a member of their executive management team. He has also served as the vice chairman for the Technical Advisory Committee on Aeronautics for the California Transportation Commission, a director for the Association of California Airports and as adjunct instructor for Embry Riddle University. He was also the first airport manager to receive the Aviation Owners and Pilots Association Joseph P. Crotti Award for General Aviation Advocacy in California. As a retired chief master sergeant with 26 years of Air Force service, Weil was already very familiar with the Air Force before his selection as community liaison. His last tour of duty was at Edwards as the maintenance superintendent for the 412th Logistic Test Squadron. Editor’s note: From time to time, Edwards Public Affairs will be highlighting local AFMC Community Liaison volunteers along with participants in Edwards AFB’s Honorary Commander Program.